High-paying jobs don’t just belong to those with advanced degrees. If you want to earn in the high five figures or even into the six figures, you can get there with only two years of higher education. But you’ll need to carefully pick the subject you earn an associate degree in to do so. To help you get the best return for your education investment, CNBC Make It combed through data from the Bureau of Labor Statistics to identify all the occupations that pay workers with an associate degree more than $75,000 a year. Getting one of these top-dollar jobs means you’ll be drastically out-earning your peers with a similar education and, maybe, even out-earning those with a four-year degree. The average annual salary of someone with an associate degree is $41,496 a year, according to the BLS, or about $34,000 less than the lowest-paying gig on this list. 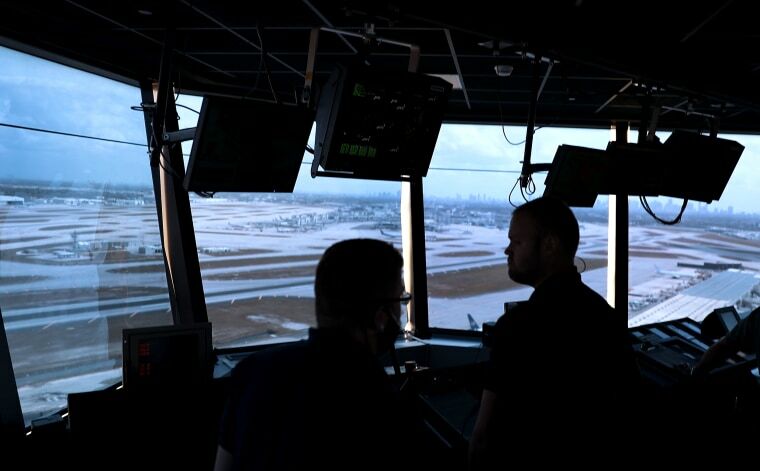 Many people become air traffic controllers by obtaining at least an associate degree through an Federal Aviation Administration (FAA)-approved Air Traffic Collegiate Training Initiative (AT-CTI) program. All air traffic controllers must also hold an Air Traffic Control Tower Operator Certificate or be otherwise appropriately qualified. Controllers are then tested throughout the course of their career, needing to pass a physical exam each year and a job performance exam twice per year. Overseeing the operations of a funeral home may seem a morbid job, but it is a highly rewarding one. These managers need to not only be skilled in handling typical business tasks, like staffing, marketing and maintaining revenue, but also at offering counsel and support to grieving families, arranging for the removal of the deceased’s body, preparing the deceased for the funeral, and filing death certificates and other legal documents with appropriate authorities. Typically, an associate degree in funeral service or mortuary science is all the education that’s needed to become a funeral service worker. On the job training, however, is also important, as those studying to be funeral directors and morticians must one to three year-long internships and pass a state and/or national board exam. Nuclear medicine technologists typically need an associate degree from an accredited nuclear medicine technology program. Although, some technologists become qualified if they have a degree in a related health field and complete a 12-month certificate program. They commonly need a certification in the field and some states may require a license to practice. Nuclear technicians typically need an associate degree in nuclear science or a nuclear-related technology. Some gain equivalent experience from military service. Extensive on-the-job training is also required. Part of the healthcare team called in to treat cancer, these therapists operate the machines that deliver concentrated radiation therapy to a patient’s tumor. They are also responsible for explaining treatment plans to patients, determining the region of the body receiving treatment, and checking for unusual reactions. Employers usually prefer to hire applicants with at least an associate degree in radiation therapy, though some companies accept those who’ve completed a certificate program. In most states, radiation therapists must be licensed or certified. Requirements vary depending on the state but typically include passing a national certification exam.